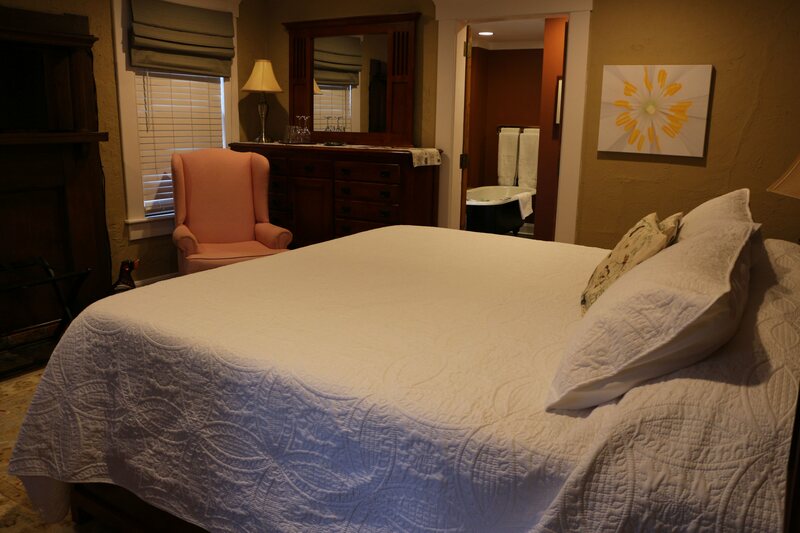 On the ground floor, the Probart room is furnished with a mission style king bed, armoire and dresser as well as a flat screen television, refrigerator and coffee maker. 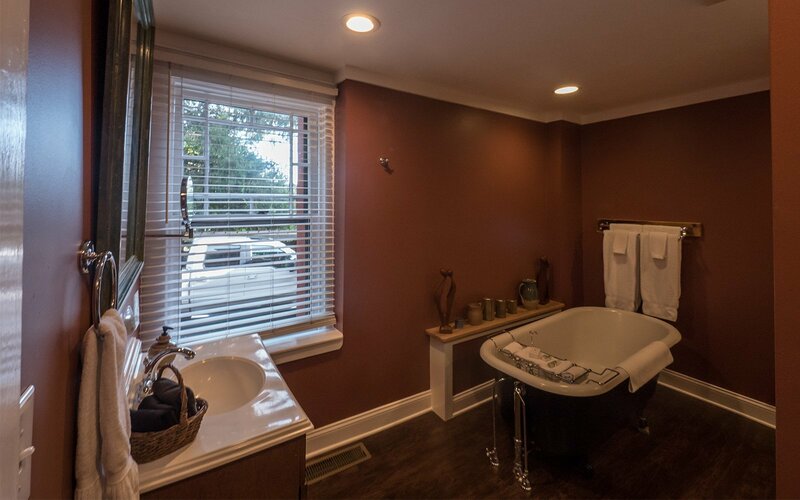 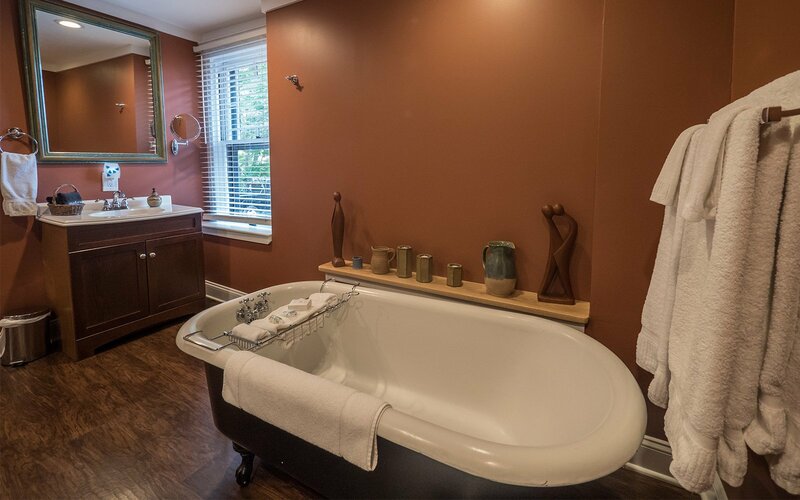 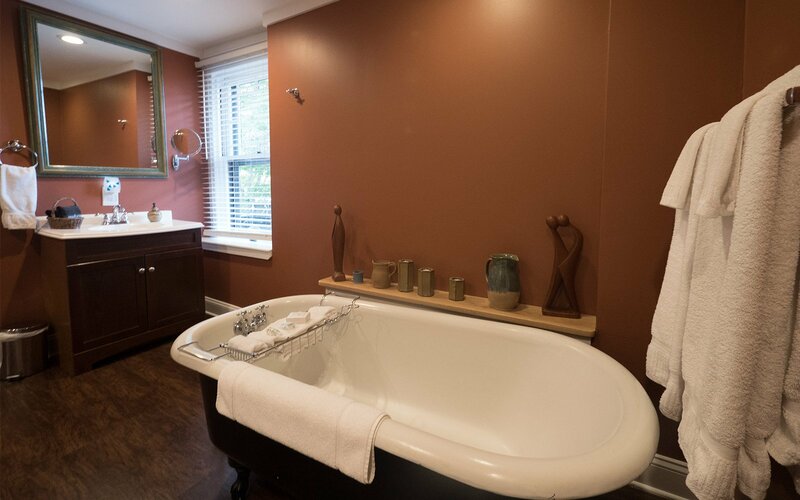 This room offers a spacious private bathroom including a double shower and a claw foot tub perfect for a relaxing soak with candles and a convenient bath caddy to hold a good book and glass of wine. 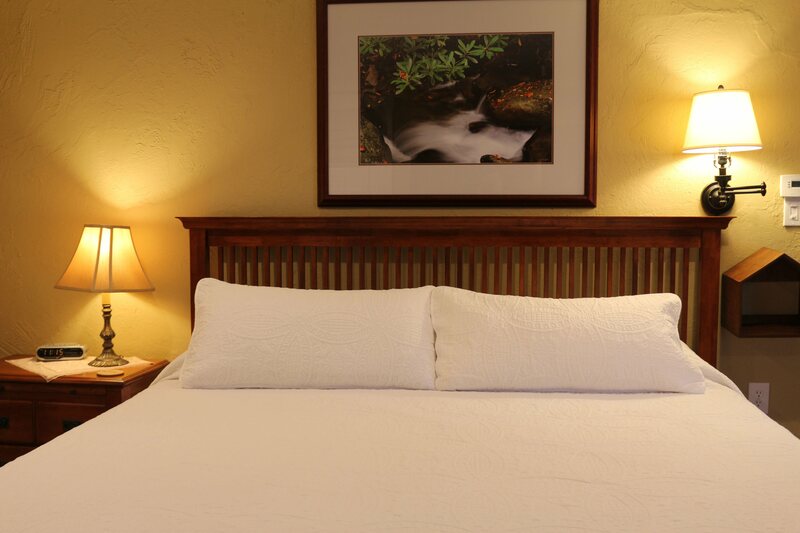 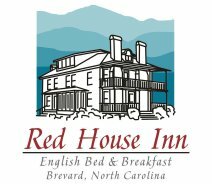 All rooms at the inn have access to high speed Wi-Fi and individual controls for the heating and air conditioning.